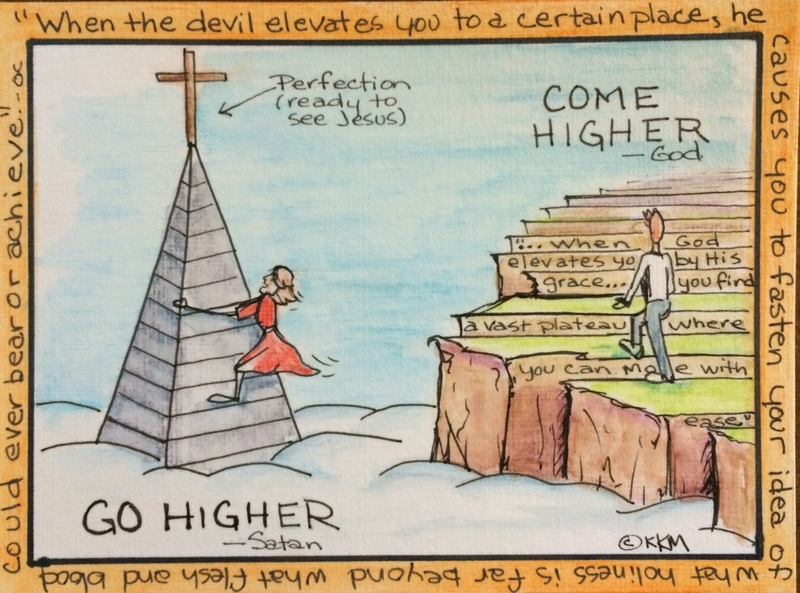 Which Would You Rather Be On?–A Steeples or Solid Ground? This weekend I’m opening my studio to the public so it’s a busy morning. I don’t think though that adding anything to the words on the doodle will help. So, read the card, consider the voice you are hearing. Is it a demand to “Go Higher” (a call for outward/visible character building) or a call to “Come Higher” (a call for inward character building)? If you’re on a Holy Steeple Chase, slide down, get on the solid ground of grace. I’ll leave you with this quote from Oswald Chambers today.